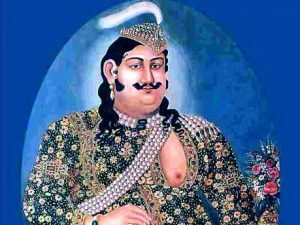 Over a century and half ago, in 1856, the Nawab of Awadh, was forced by the British to abdicate his throne. Pinning his hopes on the British sense of justice and fair play, he arrived in Calcutta to place his case before the then Governor General of India Lord http://prozilla.net/ Dalhousie. Stonewalled there, he made plans to appear before the Queen and the British Parliament. But that was not to be. Amid ongoing negotiations between his representatives and the Queen in London, the Sepoy Mutiny broke out in India. It not only dashed his hopes of retrieving Awadh, but also led to his house arrest in Fort William, as the British feared that he could become a rallying point for the rebels. Released from captivity after 26 months and given a purse of Rs. 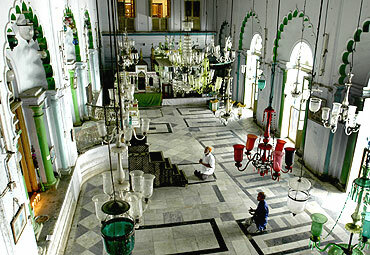 12 lakh, Wajid Ali Shah set about creating a miniature Lucknow in Metiabruz, a locality in Kolkata. Accordingly, he had gardens laid out and palaces built, but he did not realize that he was burning through the coffers really fast. After the last of the construction was complete, the Nawab wanted to feed biryani to the labourers who built his new Shahi Imambara. As it turns out, he then realized that he did not have enough cash left to make the biryani meat- heavy. And therefore, the royal khansamas (cooks) decided to add potatoes to give the biryani volume. At the time, potatoes would grow around Dehra Dun and had not become such a staple in local food. The royal cooks thought it was exotic enough to be included in the regal platter, and besides, they knew that the tuber would max out the biryani’s volume in the absence of much meat. Necessity is the mother of invention they say, and what the royal khansamas probably didn’t realize back then was that they were making history. 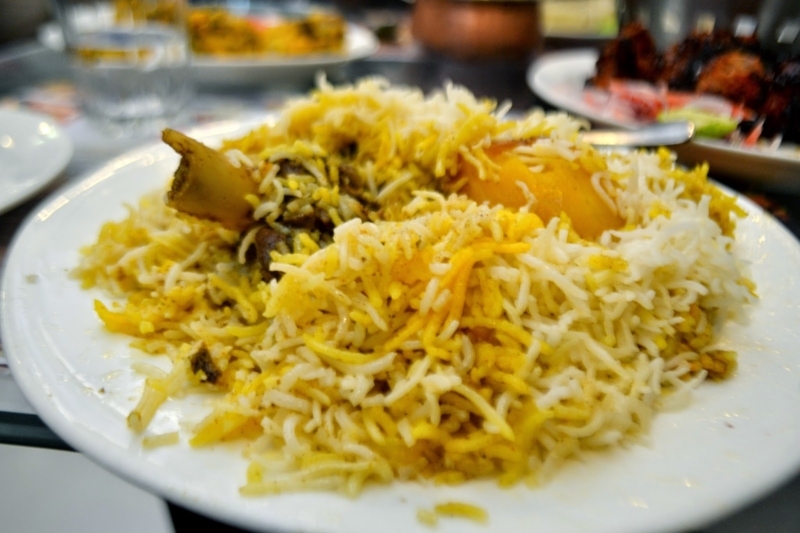 Today, the Kolkata biryani holds its own among a sea of varieties of biryani only because of that beautiful golden roundel of potato, without which, like we said, no Bengali would even consider it a biryani. Don’t believe us? 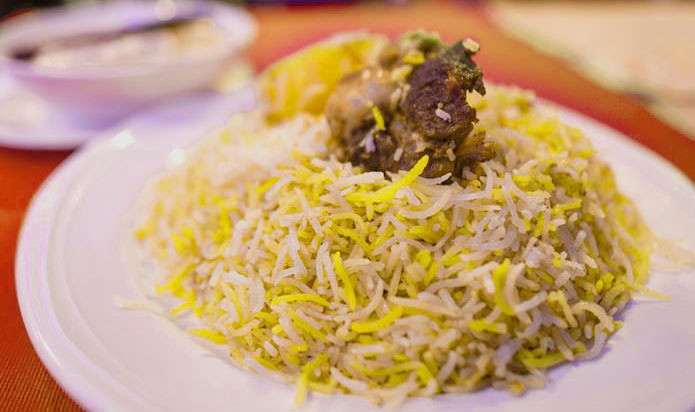 Back in 2013, there was a shortage of potatoes in the market, and many prominent Biryani restaurants began serving biryani without the potato. The people of Kolkata promptly shifted their attention to Chicken Chaap and Rotis, or even Chinese food. 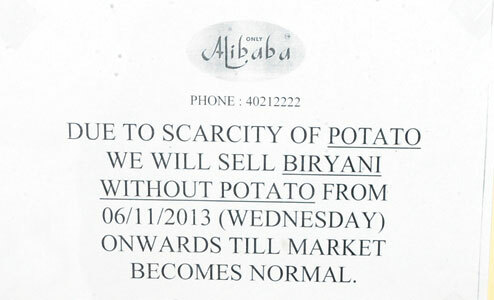 Really, the sale of biryani rapidly declined in the time when potatoes weren’t there. So there – potatoes in a biryani may have had humble beginnings, but today, it makes a biryani complete for some. Salaam to that, eh? At Tasneem’s Kings Kitchen, all our Bohra Biryanis are cooked with Aloo in traditional dum-pukht way with charcoals over a slow-fire technique associated to royal kitchens of Awadh by Khansamas who have perfected the art over decades. Come relish our authentic dum pukht biryanis and experience what makes them so special.